Do you wish you had a Hunting Cabin to go where life could slow down and allow you to focus on the people and things that really matter to you and your family? Kintner Modular Homes builds remarkable Modular Hunting Cabin where families and friends can pursue their passions and make memories together. All of our Modular Hunting Cabin are built in a controlled environment, delivered to you building site and then can be set up in as little as 1-2 weeks! With many different models and floor plans to choose from, Kintner Modular Homes can help you customize a Modular Hunting Cabin that your family and friends will enjoy for years to come. Explore our modular hunting cabin floor plans and styles. 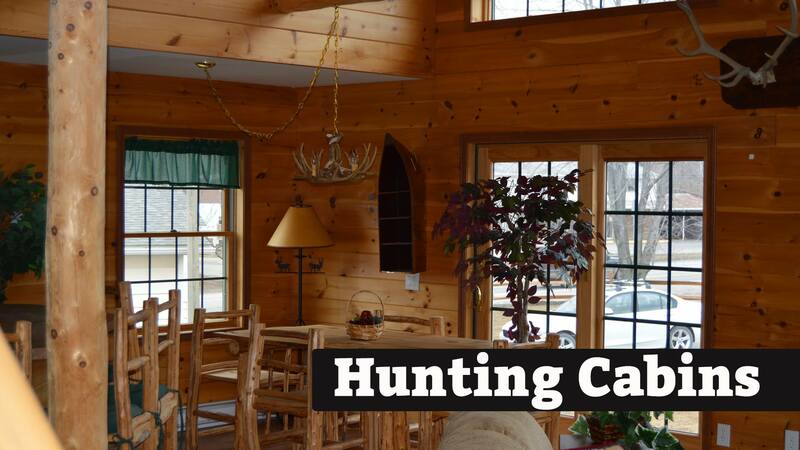 Our custom built Modular Hunting Cabin are some of the best manufactured homes in Pennsylvania. But don’t just take our word for it, ask a few of our customers what thay have to say about their own Kintner Modular Homes. Custom built modular log homes allow us to create a Hunting Cabin that is as unique as you are! Although we have many modular hunting cabin interiors ideas, floor plan, suggestions and exterior designs, many of the elements can be customized by us. Have a unique floor plan in mind please give us a call? At Kintner Modular Homes we are glad to bring life to any sketch you have even if you draw your floor plan to scale and we will give you a price quote! The modular homes we build in Pennsylvania continue to impress our clients while respecting their budget. Contact us for information about building a custom Hunting Cabin. At Kintner we make sure our homes include all the essentials for your new home. We offer packages so you can customize your home and make it the perfect house for you. From the very early stages of construction and permitting to the tiniest interior details, to service on your home years after it’s built, at Kintner Homes, we are the complete package. If you are looking for a Modular Hunting Cabin call Kintner Modular Homes Today. Come see your dream home today.